Beautiful and classic with a twist thanks to the use of various PA tiny printed cottons of the 19th century, especially the Lancaster blue. 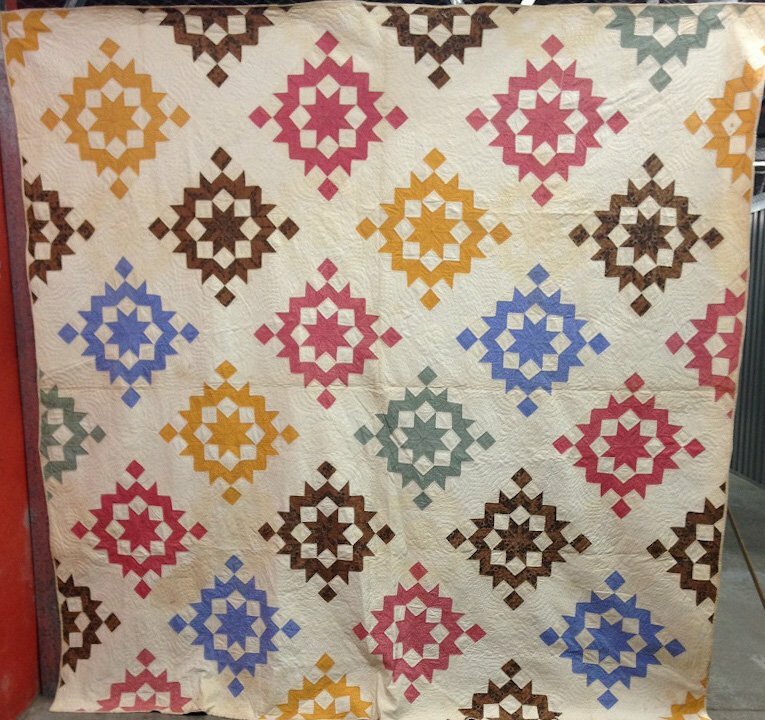 Others might have made this pattern using just one fabric. So there is a great dynamism here because of the colors and the choice to set the piece blocks on point. Lovely unused condition. The square size means this can be hung as a diamond for additional visual pleasure.